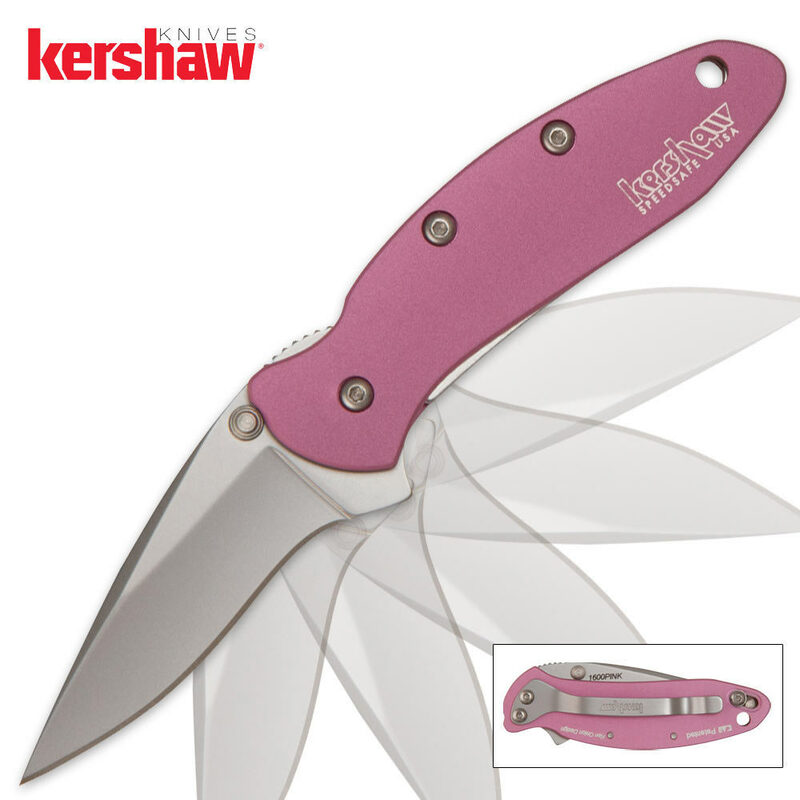 This Kershaw Pink Chive features a 1 15/16" 420HC stainless steel blade. The aluminum handle has a pink anodized coating. Includes the patented SpeedSafe ambidextrous assisted opening system. 2 7/8" closed.